I’m trying very hard to get people as excited by exponent mistakes as I am. I just think that they’re really cool and interesting. 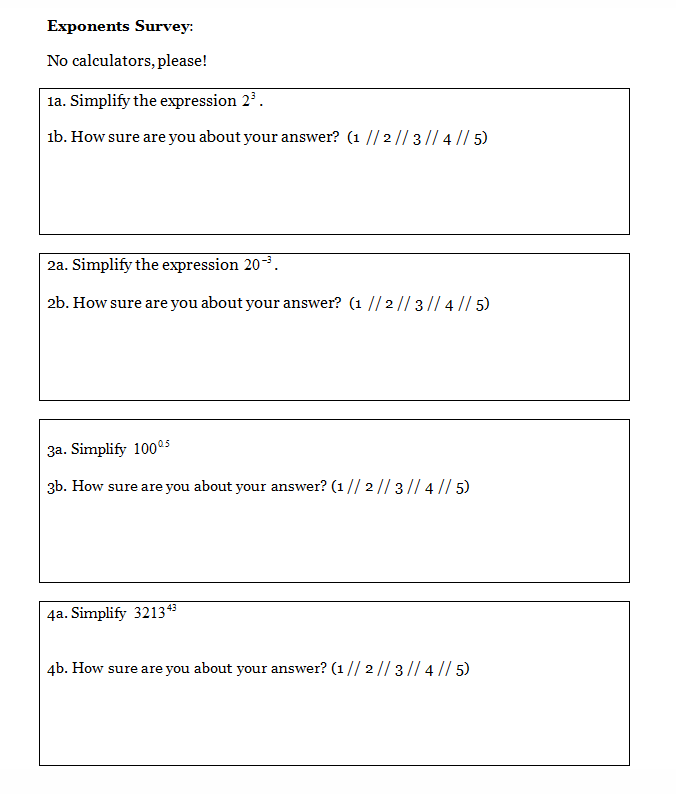 I gave kids this survey today in class to 9th graders who have never seen negative or rational exponents before, just to see what they’d do. The results did not disappoint. The mistakes they made will find their way to the site soon enough, but for now, drop by Rational Expressions and let me know what you think of the experiment and its results. 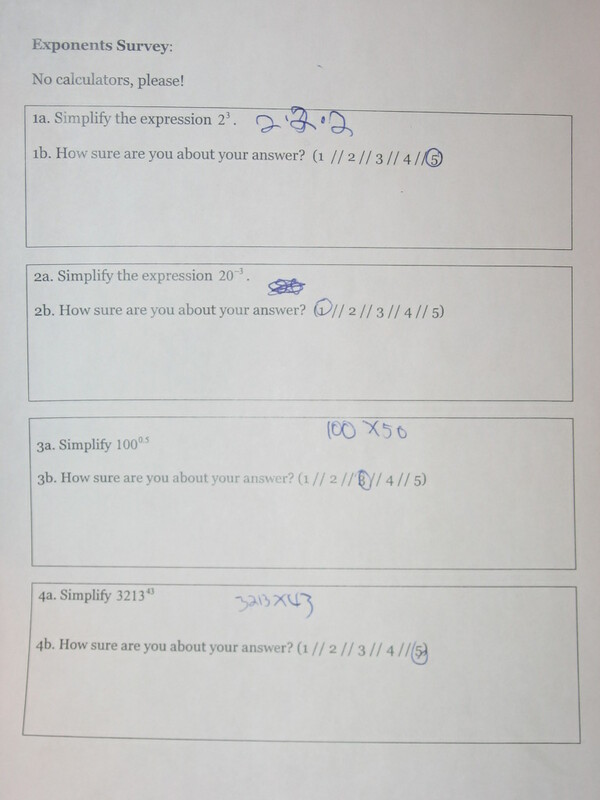 If you decide to give your students the exponents survey, or make a survey of your own on exponents or any subject, I would sure love to see it. Send it my way, if you will. Posted in exponents, The Number System.